SI Windows & Doors provides Montreal and the surrounding areas with High Quality Patio Doors available in Aluminum, Hybrid, and PVC Materials. Our Montreal Patio Doors are a complete product family available in several different designs. They are a structural system offering the possibility of built-in transoms and laterals of all dimensions in a single frame. Our Patio Doors are also qualified by Energy Star and offer high performance against severe weather conditions. We provide professional Installation of High Quality Sliding Patio Doors. These doors are available with an All-PVC or PVC and Wood Frame. ALL-PVC Frames are a new design with an internal slope. They allow for more efficient drainage. 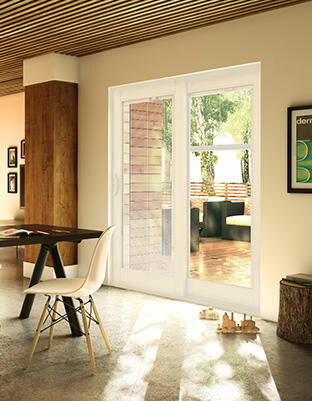 These doors are Energy Star qualified, and top the benchmark for energy efficiency. Adding a structural wood portion provides increased rigidity. 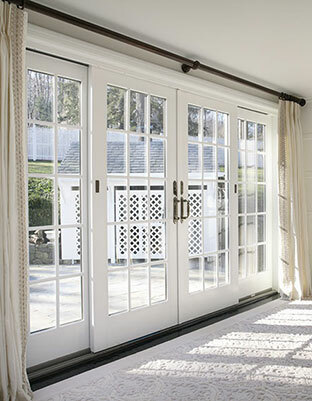 Our Hinged Patio Doors, or “Garden Doors”, are made from All-PVC and provide a touch of European Elegance. We offer many different styles to suit your individual taste and budget. These Doors are optionally equipped with an outswing and inswing still for maximum convenience. These doors provide superior insulation and energy efficiency with 1″ thick tempered glass.